Students are given scaffolded worksheets. The model is drawn for them for the first page. 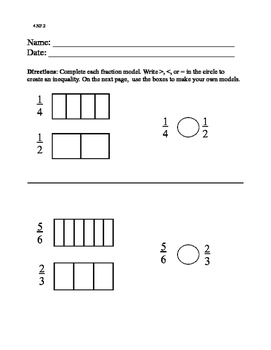 On the second page, students are given the box to guide them in drawing the model (helpful for students who have occupational therapy weaknesses). 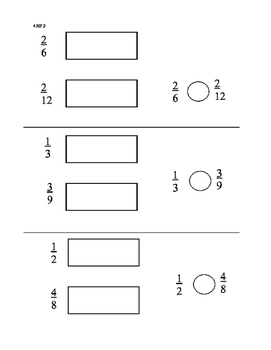 Students draw the model in the boxes to show amount shaded to represent the fraction. Directions: Complete each fraction model. Write >, <, or = in the circle to create an inequality. On the next page, use the boxes to make your own models.